Wind and sun, day and night are not controlled by us and provide us with a lot of fluctuating energy. These are nonsteerable energy sources and often unpredictable for our networks. 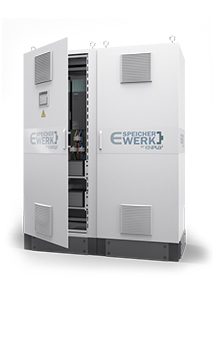 To ensure a steady feed-in into the grid, and thus still use free capacities, can an E-SpeicherWerk power storage system be the missing link. 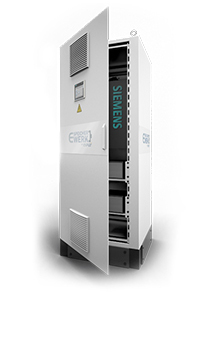 Coherent as hybrid power station –solar and wind - can the feed-in by use of an electric power storage systembe linear.But even the mere use of an electric power storage system has the benefit ofconstant feed-in in addition tothe reactive current compensation and frequency stabilization. 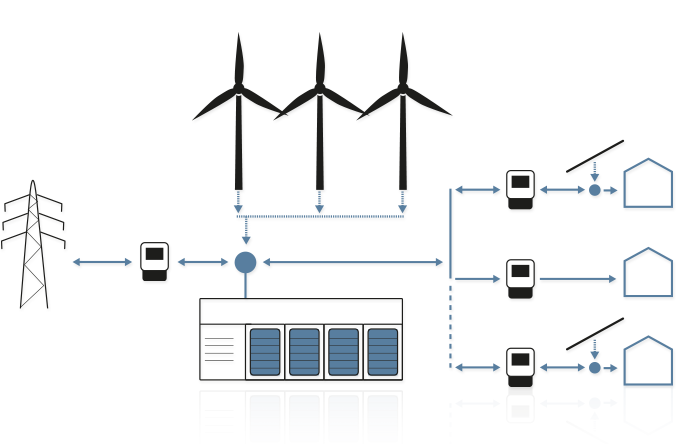 Here too is the application of the secondary connection to a virtual E-KraftWerk power storage system an advantage.